I'm good with Abnegation increasing your stats, but it's a non-nether team. Your base stats are going to be low, low, low. There's no room for a combination of Abnegation + another trait on any creature that can do anything real with it outside of the lower Arena levels. Abnegation offers a flat-scale boost, which won't work as enemies gain 10x, 100x, or 1000x your stats. Ascendancy / Infinite Lord's ability only works on the first time it's revived. So you get one doubling, not repeated doubling. I suppose you could use Immortal King's ability to swap health, but at that rate, you could simply use Paranormal Slimes... which defeats the purpose of this build. If you DO use Mouth of Hell, the enemy has access to that creature when you summon it. Which means, if you go over 1 round, an enemy Mouth can simply Defend and wipe your team. With my setup here, I'm clearing Arena 100+ in 3 turns or less per fight, dishing out damage in the 50,000-100,000 range by round 2. My creature base stats are attack in the 2500 area (with artifact) and health pools in the 1500's. Even if a Mouth of Hell doubled HP on death after a revival, it still won't kill enemies in the 150,000 hp range effectively (which is what I fight). I'd estimate the enemy attack/defense is somewhere around 75,000 (but I can't cast identify in the Arena). 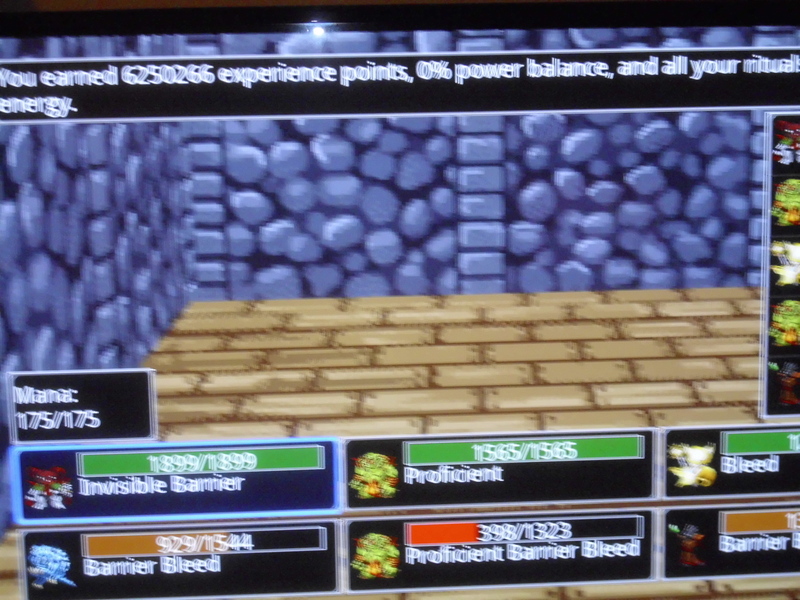 BTW, each Arena fight I win is yielding anywhere from 5-10 million exp. Oh, and Arena Points have a cap of 50 per win. Every win escalates how much you win until that 50/win cap is reached. FYI: Abnegation (Clairvoyant Spirit) increases your team's stats based on how much power balance you have. Don't know if the bug was ever fixed properly, it 'got stuck' granting first turn even without altar activation last I played. Mouth of hell with the right abilities (that double HP upon revive for example) until 500 when I stopped, probably not infinitely. Not sure I follow about Clairvoyant Spirit and first turn. Abnegation (the ability) doesn't grant first turn, unless it's some hidden factor or bug? Also, Mouth of Hell wouldn't work in a non-nether setup; they simply don't have the health scaling to allow them to deal hundreds of thousands (or millions) of damage. So in fighting the uber-high levels, Inspirit won't trigger if the heal isn't large enough. Inspirit or Death's Advance (next to Pit Wraith) or Whetted Fists. Your trolls don't gain the extra turns, but Crawl allows you to definitely power up from the heal, and Inspirit will keep your other troll powering up also for a kill. Plus Crawl helps kill the enemies, too! For the artifacts, it's same deal. For lower levels, it's much more efficient to simply have Back for More. It's not perfect, and still has a few difficult matches/creatures. If you go nether/demon, you can protect yourself from those matchups, however. Scourge Mummy (and a few others) will wreck you at high levels in a non-nether/demon team. It's pretty much instant death. With a nether team though, you can use a power to protect from Burn. Same with Poison and enemy on-death abilities. You can go with one less Troll Arsonist and take the protection from both Burn and Poison, however. Invest in Holy Defiance. DO NOT put points into Reinforce, this will ruin your healing. At the start of each round, if you are below 65% health, you will be healed to 65%, triggering Pit Wraith x6 boost. Each round, your Priest of Light will heal all your creatures, again triggering Pit Wraith boost. Defend on your Witch Doctor Sacrificer. Nothing can kill it, except for universal debuffs. But you also can't attack with it. It just sits there, looking pretty. When it defends, it goes invisible, and reduces all damage taken by all your other creatures by 99%. This compounds with your Holy Defiance Life Perk. Your creatures will take mostly single digit or low 10's damage only. Troll Arsonists will throw bombs. Lots and lots of bombs. And bombs ignore defense. They'll keep taking turns. I've gotten as many as 9 in a row on just one of them. If a bomb doesn't kill a creature, it gets an attack. After it's turn, it has a 50% chance to throw another bomb and attack again. Whee. As soon as something dies, your Pit Wraith with Calamity goes boom with hyper-boosted attacks. I don't suggest attacking with your Pit Wraith (you can if you want), but you may get a nasty surprise if an enemy has a retaliation ability on it's artifact. Focus on attack to boost stats. Just attack. You don't need anything else. With a Nether Team or Demon Team, you can drop the attack focus on artifacts for the trolls/pit wraith. You won't need to rely on the attack from artifacts. They'll actually kill quicker with things like Stone and Haunt. You can also shuffle around the team and fit in a 3rd Arsonist, or another Inspirit. Between these 3, enemies don't really get a turn, and when they do, you have a solid chance of a troll returning back to the top (and thus triggering even more Back for More turns). Each time Priest of Life goes - it's more healing! Page created in 0.151 seconds with 48 queries.